The different themes for National Stationery Week are so much fun, especially today’s: Get Crafty. What stationery addict doesn’t love a roll of washi tape or inspirational postcard? I’ve approached a different brand to work with for each themed today and chose The Green Gables for my crafty post. 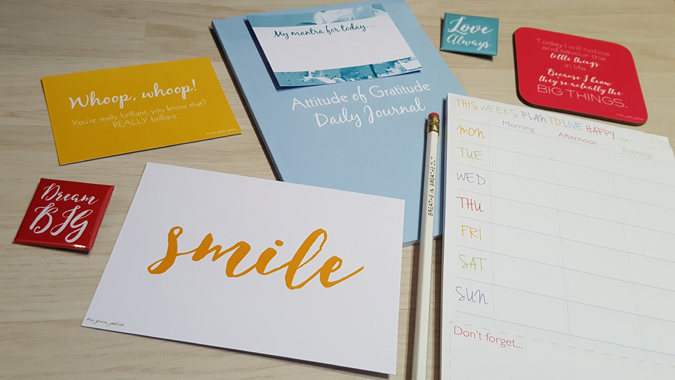 Gabrielle’s Live Happy range is ideal for scrapbookers and bullet journallers, with celebration cards, positive affirmation prompts, a gratitude journal and loads more! I’ve linked up the various items below the relevant photos. 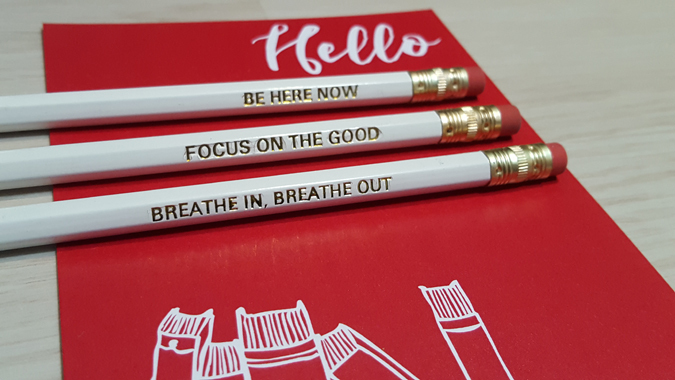 Pencils of positivity – everyone loves an engraved pencil, plus they’re a great reminder to practice a bit of mindfulness. 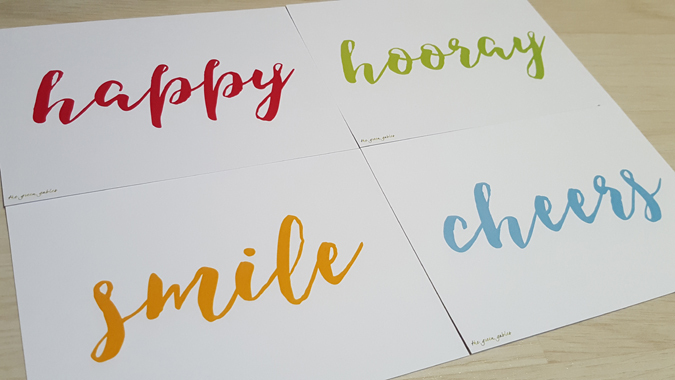 Set of four calligraphy happy postcards – I think I’ll be popping the ‘happy’ and ‘smile’ postcards on my wall and saving the other two. 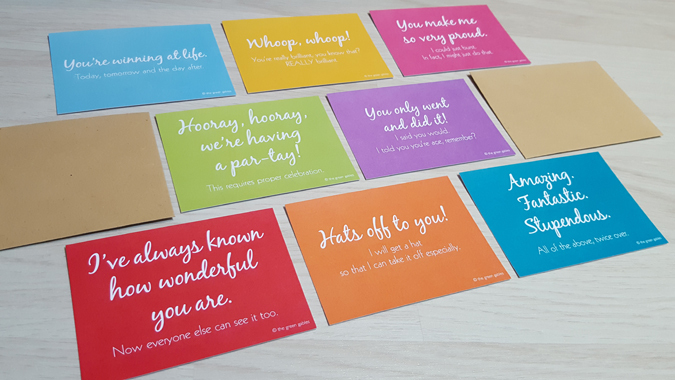 Cards of celebration set – perfect for celebrating those little wins. They also come with envelopes to share the love. 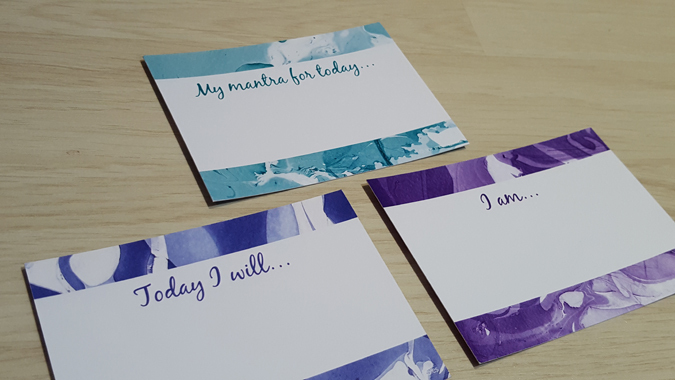 Write your own affirmation, intention and mantra cards – perfect prompts for those who bujo daily. 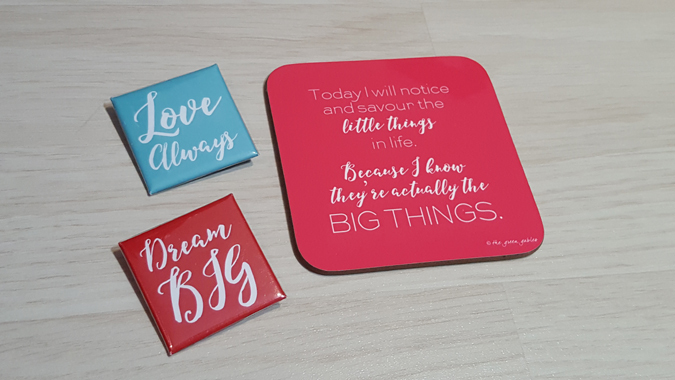 Positive message badge set and savouring happiness coaster – such cute gift ideas! 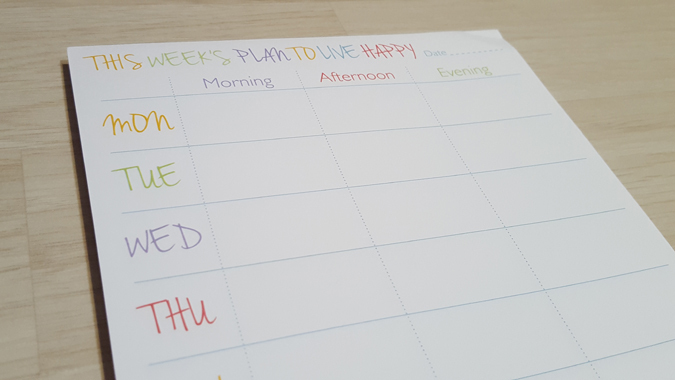 A5 weekly planner notepad – keep your life organised and colourful! 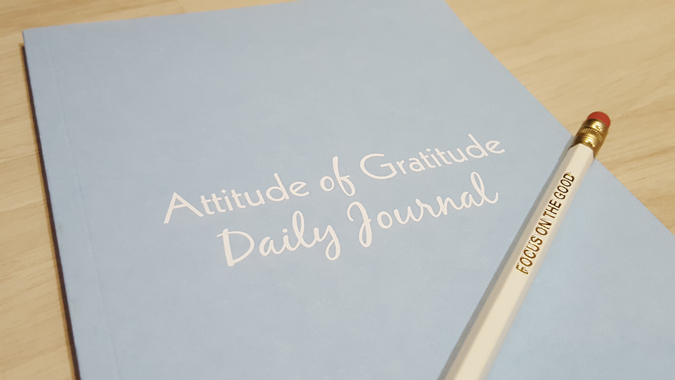 The year long gratitude journal is probably my favourite of the bunch. I love the attention to detail, with the intro explaining the importance of expressing and noting gratitude. I started mine last week as a way to find the good in every day – even those days where Jenson is especially whingey or if my bus is late. Let’s see if I can consistently note three things each day! I’ll keep you posted and share an update in a future self-care post. And guess what? You can win all of the above! All you have to do to be in with a chance is complete the Rafflecopter below. UK entrants only. This giveaway will close at midnight on Monday 1 May 2017. The winner will then be contacted directly. This bundle looks great to get organised and motivated with life! I love the positive affirmation prompts. 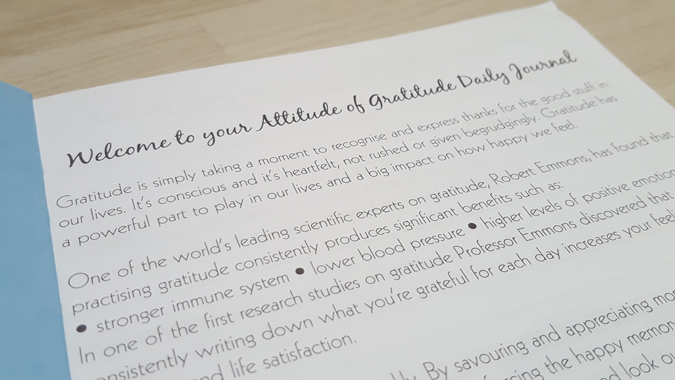 This collection is lovely and colourful, the gratitude journal is so cool. 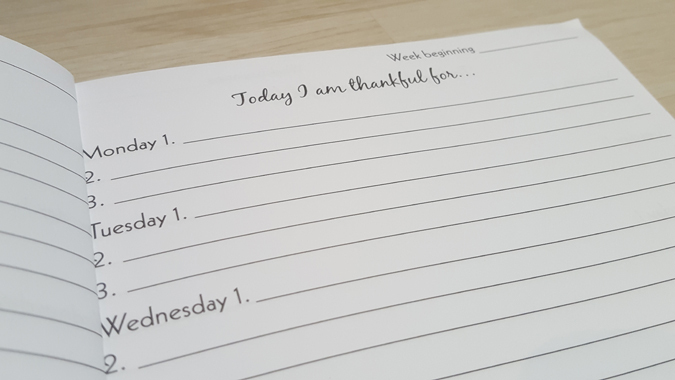 Gratitude journals are such a good idea. I hope I manage to keep mine updated. I failed with a one line a day packet I got at Christmas. I am going to put my desk in my bedroom so I spend more time at it. I’ve got a one line a day for five years diary I leave by my bed. It’s for Jenson memories and I write in it every night before bed.